No more “mental retardation” labels. So when will they stop killing babibes with Down syndrome? No more “mental retardation”. So? I would prefer my daughter to be called a “retard" and know that abortion of babies with Down syndrome had ceased. Early last month President Barack Obama signed a law decreeing that federal statutes must no longer use the term "mental retardation”. The phrase replacing it will be "intellectual disability". Many Down syndrome advocates were jubilant. But I am more skeptical. Drawing a new word from the thesaurus is not enough. We have to respect the right of the mentally disabled to exist. We need to stop aborting them. When I was working in London in the 1980s I was shocked by the name on a building near my home: The Spastic Society. In the United States, we had long before ceased calling those with cerebral palsy “spastics” and I found the term antiquated and offensive. It seems that, every few decades, old terms for those with physical disabilities or cognitive delays are abandoned in favor of new ones, since existing terms have developed a negative connotation. So too, with those who have Trisomy 21, or Down syndrome. Dr Langdon Down, an English psychiatrist, first identified Down syndrome, calling it mongolism, since he saw a similarity between the almond eyes characteristic of this syndrome and those who lived in Mongolia. Somehow, no matter where a child was born, he assumed that these people shared a racial tie to this region. Although Dr Down was compassionate toward those with disabilities and the term was never intended as an insult to those from Mongolia or those with Trisomy 21, over time it became an offensive term. Mongolism was abandoned in favor of a name recognising Dr Down’s contribution. Now, some of my friends in the Down syndrome community want the more accurate term Trisomy 21 to replace Down syndrome, since the latter, too, has acquired a negative connotation. Again, this is hitting the wrong issue. Changing vocabulary, while significant, can only get you so far. As a writer who is also in the pro-life movement I understand the importance of words. Calling an unborn child a fetus, while medically accurate, can depersonalize the child, allowing members of the public to rationalize abortion in the same way that calling certain members of society “useless eaters”, “vermin” and “life unworthy of life” eventually depersonalized entire classes of people, including the mentally retarded, and sent them to their deaths in the Nazi concentration camps. My point is this; if an entire class of people, those with three sets of the 21st chromosome, are routinely targeted for destruction -- at a scandalous rate of 90 per cent -- can merely changing the term we use to describe those 10 per cent who escape the net increase respect for their human dignity and intrinsic value to society in a meaningful way? Isn’t a more fundamental change required before having a child with Down syndrome goes from being the greatest fear of pregnant women to being widely accepted by society? When only 10 per cent of people pre-natally diagnosed with this disorder make it to birth, it is a hollow victory if that lucky little minority may not be called “mentally retarded”. It’s as if we are rescuing survivors of the death camp, offering them freedom and food, but failing to shut down the gas chambers for the rest of their race. Can any significant respect be ever given to those with Down syndrome when those who call themselves advocates ignore this ignominious irony? I would prefer that my daughter be called a “retard”, a pejorative term I abhor, and know that the abortion of babies with Down syndrome had ceased. 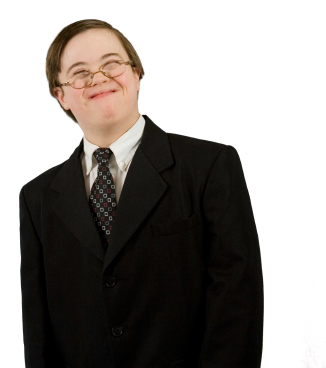 For then, society would stop the window dressing and offer people with a unique number of chromosomes the dignity they deserve. This is the only way that true respect for these persecuted members of our society can be established. It is only when they live fully integrated lives in society and become an everyday sight that they will win the respect they deserve. Whenever I travel in certain circles with my eight year old daughter Christina, who has Down syndrome, she creates a stir. Heads turn to confirm what people think they saw, and then the light of recognition dawns, as they interiorly affirm, “yes, that was a child with Down syndrome”. The process doesn’t bother me unless the discovery is accompanied by a look of disgust. I never see that reaction from children; they are merely curious. One time, a couple of preschool brothers, ran to their mom after meeting Christina, exclaiming in animated stage whispers, “Mom, we met a little girl who is Chinese: she looks Chinese and doesn’t speak English!” She tried to shush them, with a worried glance at me, and I calmly assured her that I wasn’t offended since the boys were just trying to make sense of her uniqueness. This may be the first time they ever encountered a child with Down syndrome. They are pretty rare in the US. Recently, an American psychiatrist traveled to Ireland, and was puzzled by the fact that he saw many more children with Down syndrome in the population than he was accustomed to seeing. He noticed how they were integrated into everyday activities, and marveled at how they were casually accepted in everyday life. Upon investigation into this rare phenomenon, he came upon a surprising fact: abortion is illegal in Ireland, so the 90 per cent abortion rate which has virtually extinguished people with Down elsewhere is not operating. The Irish don’t do a double take for children like Christina. In fact, they are debuting a cartoon on Irish TV whose main character, “Punkie” is a little girl with Down syndrome. It will be included among the ordinary children’s programmes. Imagine if, overnight, we stopped aborting babies with Down syndrome. Soon, preschools would have the typical number of children with the characteristic almond eyes my daughter has, and children wouldn’t have to tug at their parents’ sleeves when they see her and ask embarrassing questions. Programmes customized to their learning style would flourish, as their growing numbers justified their creation. When adults with Down syndrome took their place in the world, their accomplishments wouldn’t surprise us and make the news. Like the young man who just scored a 51yard touchdown for his high school football team, which was featured on Fox News, or the young couple, Monica and David, a couple with Down syndrome whose marriage story was made into an award wining documentary. Such events would become too commonplace to amaze us. Research funding would increase and eventually the health challenges faced by people with Trisomy 21 would be overcome by science. The cure for other, more common diseases such as Alzheimer’s disease and cancer may well be found along the path to pursuing this promising research. Our society would find itself a more welcoming place for those who are genetically diverse, and congratulate itself for overcoming the bigotry of the past, as we did when, two decades ago, the US offered such people access to education with the Individuals with Disabilities Act. These are precisely the changes which my friends it the advocacy movement are encouraging through use of the media, and Down syndrome organizations. Their goals would find ever more success if children with Down syndrome were not viewed as the worst thing that could happen to a family. And so, as part of the movement to provide a welcoming culture for those like my Christina, I say to doctors, politicians and society in general: Do not ignore the elephant in the room. You cannot insist that our children are addressed in respectful terms and expect fundamental changes in society while ignoring the abortion rate. The problem must be attacked at its root, the rejection of our children for who they are, not hidden behind shallow window dressing. Then, pejorative language will fade away, without any legislation needed, as the amazing personalities and unique sensibilities of our children enrich society. Leticia Velasquez is a co-founder of Keep Infants with Down Syndrome. She writes from Connecticut. This article is published by Leticia Velasquez and MercatorNet.com under a Creative Commons licence. You may republish it or translate it free of charge with attribution for non-commercial purposes following these guidelines. If you teach at a university we ask that your department make a donation. Commercial media must contact us for permission and fees. Some articles on this site are published under different terms.